The IndaPlant Project is an exemplar because it merges plants and robots in a way that creates an automated environment focused on the nurture of the plants. 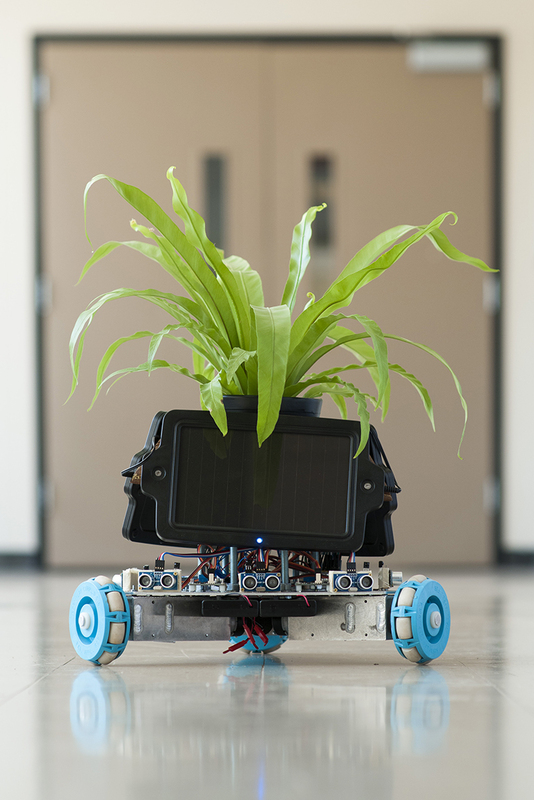 IndaPlant required adapting innovations from computer science and robotics in order to decode the plant-generated bio-information, and model solutions that allowed the plant-robots to seek sunlight and water. The floraborgs (plant robots) developed in the project could allow for automated biodomes that would benefit plants and humans alike. This project presents promising advances for sustainable agriculture. At the project’s inception, I initially intended to mount the plants on light-seeking Brattenberg vehicles. Originally created through a series of thought exercises by the Italian/Australian Cyberneticist Valentino Brattenberg, these simple vehicles utilize a basic schematic for attraction and avoidance. Once the IndaPlant team began considering the possibilities inherent in the creation of a floraborg however, we realized that we could instead wire the vehicle through an Arduino board. This current configuration not only allows for species-specific programming but also supports simple adaptive behavior, in the form of machine learning. 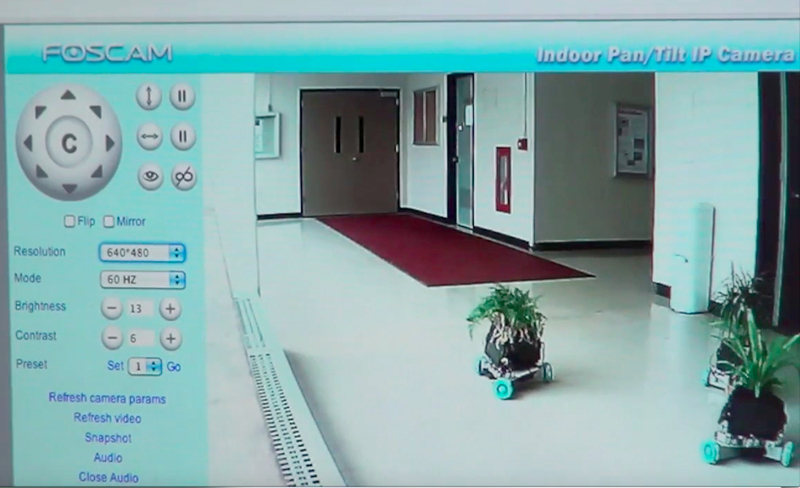 The current IndaPlant community consists of three data-sharing, light-sensing, robotic vehicles, each of which can respond to the needs of a potted plant by moving it around in three-dimensional space in search of sunlight and water.